Mar 23, 2019 | Posted by A.B. 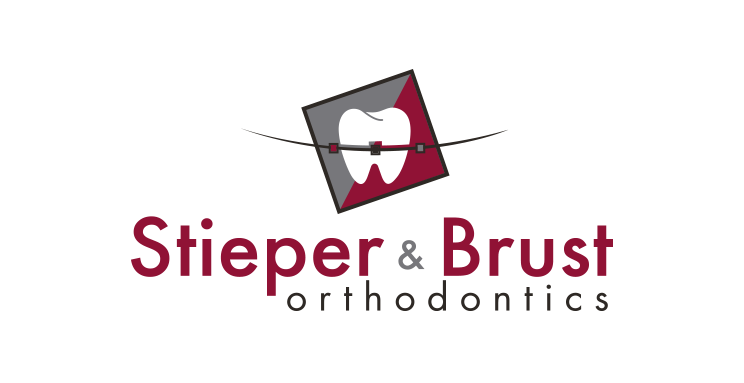 I think Stieper & Brust is a wonderful orthodontic practice. They get you in fast (and have cookies), easy to schedule, and are extremely friendly (and funny). Feb 27, 2019 | Posted by E.B. Love this place. will NEVER go to another orthodontist! Feb 21, 2019 | Posted by C.H. Feb 21, 2019 | Posted by K.K. I love how they make my daughter feel so comfortable. She has had some anxiety about getting her invisalign and really just dentist/ orthodontist all together. After our first visit, her anxiety was gone and she was actually smiling saying how much she liked everyone there! Thank you!! Feb 15, 2019 | Posted by n.c.
Jan 27, 2019 | Posted by E.K. I just started Invisalign treatment as a 30+ year old adult. I consulted with 3 orthodontists and went with S&B due to their specific treatment plan and confidence and experience with Invisalign. They also have early morning appointments, which is great for my schedule. So far everyone in the office has been lovely. Leah (treatment coordinator) patiently took multiple phone calls and fielded tons of questions from me while I was deciding on treatment. Since I just started under their care so I can't comment yet on results, but I'm pretty excited about where I'll be after my first set of trays based on my scans. It's actually pretty awesome that they can show you a simulation of how your teeth will move - very motivating when things are sore at first. Word to the wise for any adults considering Invisalign - make sure to do your homework! Do lots of googling and understand what you're getting into before you take the plunge. Jan 21, 2019 | Posted by A.B. They are the best! Dr. Brust, and everyone else are very friendly, I had a great experience on my new braces and I love them. Dec 29, 2018 | Posted by T.H. I love this office! Dr. Brust, Dr. Stieper, and the whole crew are top notch. As a dental professional myself, I feel 110% confident in their care. This is a great office for people of all ages. I HIGHLY recommend them on a regular basis. Dec 25, 2018 | Posted by j.d. Everyone is friendly! You feel comfortable and welcomed the moment you step in! Apr 3, 2019 | Posted by A.S. Always help you feel comfortable and everyone is so nice! Apr 2, 2019 | Posted by H.B. All the doctors and staff are very nice, and they always have snacks and cookies! Apr 1, 2019 | Posted by M.J. I think that your business is ran really nice and is very helpful. Also the staff and doctors are very friendly. I also really like the points system and how you run it. This is a really nicely ran place. Best orthodontic place ever!!!! Always have smiles on everybody's face. This is what I think of your business. Mar 28, 2019 | Posted by D.R. Best Orthodontist around! Doctors and staff are great!